Sometimes its not the big disasters which do for leaders in sport but the accumulation of incompetences. True André Villas-Boas left Tottenham after a 0-5 drubbing at the hands of Liverpool but this was the “final straw” which followed a series of lacklustre results – the 0-3 home loss to West Ham perhaps being the nadir. So it is with England cricket. The Ashes was a disaster, and it mattered. The leaders of England cricket then got into a recriminating frenzy aimed not at themselves or the other guilty parties such as Captain Cook and Coach Flower but bizarrely at Kevin Pietersen. Through leak, innuendo and off-the-record briefing they pointed the finger at the easy target of someone who had “previous” and who was perhaps not blameless in Australia but who performed as well as any other England player on that disastrous tour (not saying a lot I know, but it says something). And whatever else KP might have done he did not quit the tour half way through! "What a shambolic end to a shambolic performance to end a shambolic winter.There really are some questions to be answered here. Realistically, can they give the job to Ashley Giles now?" If the team was complacent then it is Giles who must take the can. It’s unlucky if, like Tim Sherwood at Spurs, you're the wrong man in the wrong job at the wrong time. Neither man has really cut his teeth at the highest level and each was pitched into a job ill-prepared for it. Something is profoundly rotten in the realm of England cricket (it is at Tottenham as well – but that's another story!). The England management style from the top is full of control-freakery which constricts rather than liberates coaches and players. The cynical making of Kevin Pietersen the scapegoat for The Ashes disaster was wrong in every way – not least because it distracted England from the job in hand. Which was to try and recover some form and some dignity. The England “plan” followed over the past few years has been to throw money at the problem. The best paid cricketers in the world (IPL aside). A team of support staff which outnumbered the playing squad. The men who oversaw this project were ECB Chairman Giles Clarke and CEO David Collier – both covered with Teflon and still in their jobs! We lost “The Ashes” because an ill-chosen, badly coached, incompetently-captained and rather arrogant and unpleasant team were outfought, out thought and (yes) out-sledged by Australia - and they have been unable to recover since. Giles Clarke and David Collier bear the ultimate responsibility for England's shambolic and continuing fall from grace. Once Clarke had sacked Andy Flower (not unreasonably) he then ducked the obvious next step which was to sack Alastair Cook as well. Instead he chose to say that Cook, clearly part of the problem, will lead the recovery! And to suggest that Cook's failure was in some way attributable not to his own self-evident inadequacies as a Captain but to Kevin Pietersen is characteristic Clarke mendacity. Pietersen is generally liked by the younger fans who cricket needs for the future, but he is disliked by Clarke's generation - especially those with red and yellow ties who sit in the power seats of English cricket. So he was dispensable. England in the Caribbean and Bangladesh have been awful – the odd highlight like Hales’ batting aside. It is a different squad to the Test squad but has the same brittleness and, as Ashley Giles admits, the same complacently. So what is the solution? I wish I knew. But I do know this if this was an enterprise anywhere else than England cricket the men at the top would fall on their swords. It needs new brooms in the top jobs – people who are prepared to take on the complacency and unsuitability of our antiquated domestic cricket system. Men who are prepared to stand up and be counted and not hide behind PR Speak and not require their players to do so. Change has long been overdue. Lets have it. Now! The little boy, holding tightly onto his mother’s hand, was on his first trip to London. A few weeks earlier as a family they had gathered around their new television with its tiny screen to watch the Coronation. Now he was to be allowed to see the sights for himself. Buckingham Palace. Westminster Abbey. And then, if he was very good, Lord’s Cricket Ground. The first Test Match against the Australians had been in Nottingham just after the big Royal event and that was the first time the little boy had seen a live transmission of a cricket match. His mother wouldn’t miss it because her hero was playing - the dashing Denis Compton. She had cried when he was out for a "duck" to that fearsome Mr Lindwall. "It’s not fair she cried, poor Denis". And two weeks later it was Lord’s and now Denis would surely get his revenge. But that was tomorrow and now they would go to the ground and maybe get a glimpse of the players? The boy’s father had said that Mr Brown might be playing and that the boy must be sure to say hello if he saw him because Mr Brown had been at school with his Uncle Geoff. The sun was shining as they emerged from the Tube and headed down the Wellington Road and round the corner to where the famous Grace Gates stood. There was rather a stern looking man standing outside the gates but the boy’s mother wasn’t to be put off. "Hello Sir", she said, "Could you tell me if Mr Compton is here?" "Well I should hope so Madam as he’s playing tomorrow and even Mr Compton takes a net sometimes. Well speak of the devil here he is now!" The boy’s mother jumped with excitement because there heading towards the Gates with a rather hobbling step was the great man himself. "Oh Mr Compton will you say hello to my boy?" "Hello young man and how old are you?" "Six sir" "And do you like cricket?" "Oh YES sir, very much indeed. Please sir would you sign my autograph book?". "I’ll do better than that - if you give me the book I think I can get the whole team for you". The boy’s mother was in a slight swoon – she said later she was sure that she could smell her Denis’s Brylcream he was that close. The gateman turned to her "Well he was in a good mood Madam. If you go inside you can sit on that bench and wait for him to return". And then there he was again and with him was a tall man in cricket whites but with a funny white silk scarf around his neck. "Hello Youngster, here’s your book and this is Mr Brown" "Gosh!" said the boy "My Dad says you knew my Uncle Geoff at school". Freddie Brown smiled and looked at the boy’s name on the book cover. "I should say so. Good man - couldn’t play cricket though!" And that is how cricket got into the little boy’s soul. Remembering one of the glory days from the 1970s, and this was one Kent didn't win ! They were the Glory days of course - the 1970s. Has a team so dominated a decade in any sport as that great Kent team? There was the memorable County Championship win in 1970 - to be followed by two more in 1977 and 1978. There were Gillette or B&H wins in Lord's Finals in 1973, 1974, 1976 and 1978. And Sunday League wins in 1972, 1973 and 1976. That's ten trophies in nine years! But my memory is of a glorious failure not of one of these successes. In 1971 Kent reached their second Gillette Cup Final ( they had won the competition in 1967 - the first bit of silverware for 54 years!). Kent had beaten Northants (Cowdrey 98), Yorkshire (Shepherd 4-26), Leicester (Denness 85, Woolmer 4-37) and Warwickshire (Luckhurst 84) on the way to the final where they were to face Lancashire. I was born in Orpington in West Kent in Cowdreyland. Colin went to the same church from his home in Bickley. I was never going to support any other County than Kent. But my Dad was a Lancastrian who as a schoolboy and young man had been a regular at Old Trafford in the inter-war years. Lancashire were the holders of the Gillette Cup and had a formidable side in what was still the early days of limited overs cricket. Almost every player in that Lancs side was a star. "Bumble" Lloyd and his maestro namesake Clive. Harry Pilling, knee-high to a grasshopper but gritty and determined. Farouk Engineer - wicketkeeper and explosive batsman. "Jolly Jack"Simmons who bowled flat and miserly and a top class pace attack in Lever and Shuttleworth. They were led by the shrewd Jackie Bond - worth a place in the side for his captaincy alone. My Dad hadn't seen much of his beloved Lancashire for years so a Lord's final would be special. My membership of Kent allowed me to get tickets - hard to come by in those days of packed houses for every match, especially a Final. We sat together in the top of the Warner Stand, me discreetly wearing my Kent colours and Dad sporting a Red Rose. Lancs won the toss and batted. There was an early wicket when John Dye bowled Wood for a duck. Though Pilling hit out a bit Bumble was slow and Asif Iqbal controlled, as of course was Deadly Derek Underwood. Between them Deadly and Asif bowled 24 overs for only 62 runs. Shep (1-38) was economical as well. 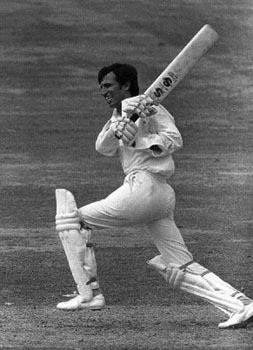 Clive Lloyd hit 66 but it was only really a late assault from Jolly Jack and his spin partner David Hughes that gave Lancashire a respectable total of 224. My Dad looked gloomy. The Kent batting line up was strong even though Cowdrey was missing from it. Luckhurst, Denness (the new captain), Asif, Knott, Shepherd, Woolmer, Julien...Formidable. So Kent needed 225 at 3.75 an over. It didn't look too difficult a task. But early wickets fell and when Kent were 68-4 it looked a tough ask. Asif and Knott restored things but a crazy run out saw the back of Knotty 105-5. At which point Asif upped a gear and played with the freedom that on his day made him one of the best in the world. When he was 89* it looked that he would carry Kent home but then Bond took one of the catches of all time. Simmons bowled a bit wide. Asif's eyes lit up and he played an expansive lofted cover drive. Bond leapt in the air and took it one-handed to his right. My Dad, quite a taciturn man usually, leapt to his feet "I think we'll win now". He was right. Kent folded in fourteen balls and Lancs won by 24 runs. The sun shone throughout that glorious day. The cricket was at times sublime. The tension was palpable. The crowd was engaged - and my Dad had a story to tell, and didn't he love telling it! Kent were to have many an equally happy day over the rest of the1970s so I can't complain. Anyway "I was there" - and as the years pass that memory will never fade. Can We Have Our Ball Back Please Mister? So, the England football team which set off for the World Cup with high hopes has returned, having lost 2-0 to Chad; 3-0 to Mongolia and 5-0 to Tuvalu. The captain has been wheeled out to Press Conferences but none of the Manager, Assistant Manager, Fitness Coach or Chairman of the FA has felt it necessary to say anything in public. The kit manager has made a sheepish appearance to say not very much but that’s all. Oh — and the Manager has apparently resigned but isn’t prepared to talk about it and Wayne Rooney has been dropped forever for unspeciﬁed reasons. Far-fetched? Yes, for football but does it ring a bell in terms of cricket? Cricket has ever been the worst administered sport in the world but now seems to display a real contempt for the paying spectator. The public doesn’t care about ‘dirty washing’ but does want to ensure that when they fork out their ever-increasing sums of money to watch a Test team in action, they understand what is going on and why. An informed spectator-base is one that will go along with decisions, even if they seem bizarre, in the knowledge that those who run the game are being straight with us. Andy Flower, whose attitude to interviews seems to have been one of indignant surprise that anyone should dare to ask him questions, has gone but is going to have something rather nice lined up for him in the background. There’s going to be a new Head Coach — note, not Team Manager and doubtless, the usual suspects are being lined up. But it’s not about individual coaches and their work, it’s more a feeling that there is a real ‘closed shop’ operating at ECB level. Steve Harmison put his name forward when the post of an England Selector fell vacant. He didn’t mind not getting the job — Angus Fraser is a hard act to beat and looks a really good choice; what was insulting was that the only acknowledgement that Steve received was an automated Email noting his application — nothing else. The England overall supremo Hugh Morris, of whom it might be felt as Kitty Muggeridge waspishly said of David Frost, ‘He rose without trace,’ has trotted off to Glamorgan without a farewell comment. He was succeeded by Paul Downton, presumably with attendant white smoke, after years out of cricket but with lots of tips as a stockbroker. Geoff Miller stood down as Chairman of Selectors, also in mute fashion and was replaced by James Whitaker. Now that seemed a quite sensible progression until his now infamous interview. Normally affable and sensible, he looked like a startled rabbit in the headlights when asked only slightly difficult questions and if Sebastian Faulks is looking for fresh material in his revamping of P. G. Wodehouse, he need look no further than that performance, playing regularly on YouTube. It might explain why, one supposes, that no one from the England camp, except the players, ever comes out to talk any more. And the great panjandrum Giles Clarke? Like all the others — Macavity’s not there. I really wanted to write something positive this month as Spring looms on the horizon and an old man’s thoughts turn to the cricket field but I feel, like so many others, adrift at a distance from the game. County members watch in dismay as another hotel rises and they still sit in stands without roofs. A regular correspondent from Durham was prescient when he predicted that Ben Stokes would be a success but he also saw that when it happened, no one at Durham would be able to watch him play in the future. Foreign mercenaries ﬂy in and out with no real contact with supporters and decent players who have come through the ranks are being dispensed with, as clubs find it more profitable to feature younger players who are subsidised from the ECB. Men who might have matured and become even better are on the scrap heap at 28. I wish I could find reasons to be cheerful but at the moment, it’s difficult. As E M Forster never wrote — Only Disconnect — that seems to be the motto of the modern English game. The charade of England advertising and interviewing for the "HeadCoach" job. It's a done deal. Ashley Giles knows he's got the England "Head Coach" job as does every reasonably close observer of the England scene. The ECB is going through the charade of advertising the post and interviewing candidates for reasons best known to itself. But don't be fooled. The decision to appoint Giles was taken before Flower was pushed out. The job was downgraded to "Head Coach" in part to give Flower a sinecure in the set-up as a sweetener when he was forced to quit the "Team Director" job. Giles coaching experience is limited and he would not be on any other nation's short list. Even Bangladesh! We will now have novices in the two jobs closest to the team - Ashley Giles and his boss Paul Downton. Difficult to see either of them standing up to Giles Clarke who has tightened his grip further by having two men totally beholden to him in these roles. It is an interesting chat touching on England's Ashes debacle and looking forward to the period ahead when, as we know, three recently centrally contracted players will not be available. Trott, through illness, Swann who has retired and of course Kevin Pietersen who was summarily sacked after Australia. The establishment is visibly closing ranks on the KP affair and this applies to all three of the participants in the podcast. First the myth that Andy Flower resigned of his own accord was maintained by them. They all like Flower and are clearly party to the official line that he, Andy, walked away. Well did he walk, three weeks after saying he wouldn't, or was he pushed? Draw your own conclusions but for me once what Etheridge referred to as "People very high up in the ECB" had decided on KP they decided on Andy Flower as well. This, of course, means ECB Chairman Giles Clarke the "high up" who takes all the key decisions. That they let Andy down gently is admirable given his service and success. But they knew he had to go - so he went. As far as KP is concerned all three of the participants frankly did not have a kind word to say about him - bar acknowledging the obvious that he is a great cricketer. Even this was watered down by a suggestion that he is "in decline" - not a view that all fans would agree with! Swann said that he and KP were not friends. The journalists indulged in a big of mostly non-specific gossip about how difficult KP can be. All rejected the idea that management was at fault. But the reality of course is that KP can be managed. Michael Vaughan did it. Duncan Fletcher did it and for a time Andrew Strauss and Andy a Flower did it. Do you recall any "issues" during the triumphant 2010/11 Ashes tour when Kevin scored a decent 360 runs at an average of 60? Me neither. Graeme Swann repeated what he has said previously that there were no particular problems with KP whilst he was still with the recent tour . When Swann went home after the third Test that, implicitly, was when the problems began and the team "fell apart". What were they? Well on the face of what we heard it was about a bit of boorishness by Pietersen on a few occasions. Well we all deal with stress in different ways - maybe KP whistles and is silly. But that is hardly a hanging offence! Andy Flower left in no small measure because he cataclysmically failed to manage the England team on tour. During that tour two players walked away. One batsman (Cook) fell from being one of the world's best to not being worth his place and the rest mostly batted cluelessly. The bowling wasn’t much better and England failed to finish off Australia all too often. Through it all Kevin Pietersen played as well as anyone, which isn't saying much but he did finish as England's top scoring batsman. And he is the scapegoat! In the weeks to come we will see England try and recover some dignity as a cricketing force in the Caribbean and then in Bangladesh in the World T20. 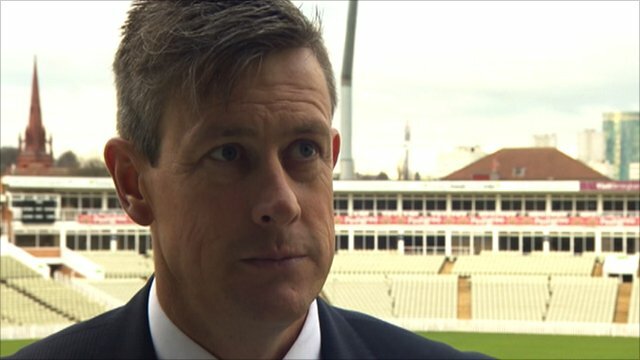 Whatever happens Ashley Giles will be appointed Head Coach and then in the summer he and Alastair Cook will try and restore some pride in English cricket. It's a tough ask. And they will do it without the one man who can turn a game on its head with the bat. Because the establishment has chosen to do so. The Aussies, laughing themselves into frenzy though they no doubt are, must think we are mad. Perhaps we are!